I was super excited when I was given an advanced copy of this book for review. 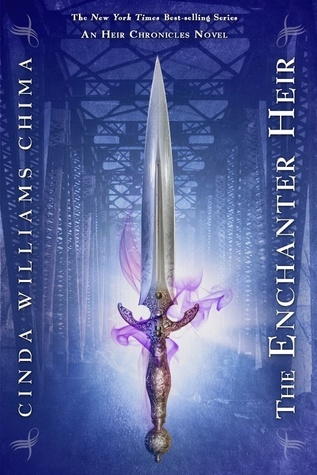 I am a huge fan of Cinda Williams Chima and have read the entirety of the Heir series as well as the Grey Wolf Queen series. I have always been enthralled by her character and world building and I was not disappointed in this next installment. Since I have always been partial to the brooding-yet-layered characters, it was no surprise to me that I liked Jonah immediately. Emma, however, I was skeptical of. The book’s description paints her as a “wild child” who runs the streets of Memphis like some modern day “Beasts of the Southern Wild” character. Unfortunately, I instantly dismissed her as unimportant when she’s introduced solely based on that description. I was pleasantly surprised to find that the book description was way off the mark when it came to Emma. Chima writes her as a free spirit, but never conforming to any stereotypes. It was almost as if I was meeting a real person who was not just created as is but has evolved through a lifetime of pain and happiness. In my opinion, she is probably one of the most real characters Chima has ever written. I did like Jonah, but felt the book, with what it was, didn’t give a whole lot of answers. All of the other Heir books can be read as standalone installments, so I was mildly surprised that this book ended in a cliffhanger. This is probably where my slight frustration of reading the entirety of the book and then being given, essentially, the “TO BE CONTINUED…” screen came from. However, although major answers weren’t given, enough character back-stories unfolded peripherally that I was drawn along just as quickly and my interest never waned. But since most all of the secrets revolved around Jonah, I was a bit more conflicted with him than I was with Emma, who was just who she seemed to be. Overall, I will be buying this book when it comes out. I just wished I had known beforehand that it would require a sequel and when the sequel will be coming out, because I don’t do well when you drop me into a high paced story and then abruptly cutting me off. I received a free ebook copy from NetGalley. I am not receiving any recompense besides the free text.